New Day Garden has Dahlias, Dahlias, Dahlias, and this is your last chance for tubers! Come join us for our annual Spring Bling Event. Friday May 27th and Saturday May 28th 10:00 am to 4:00 pm. 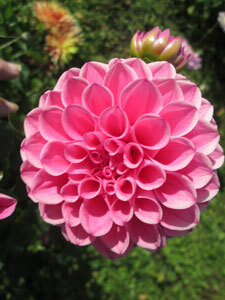 San Juan Dahlias still has about 50 varieties of choice tubers available for this spring planting. We will be available to answer questions and give planting and growing instructions. All of our varieties are good cut flower growers. Special pricing – All tubers: $3.00 each. Plus, get 1 free tuber from our mystery bin just for stopping by!